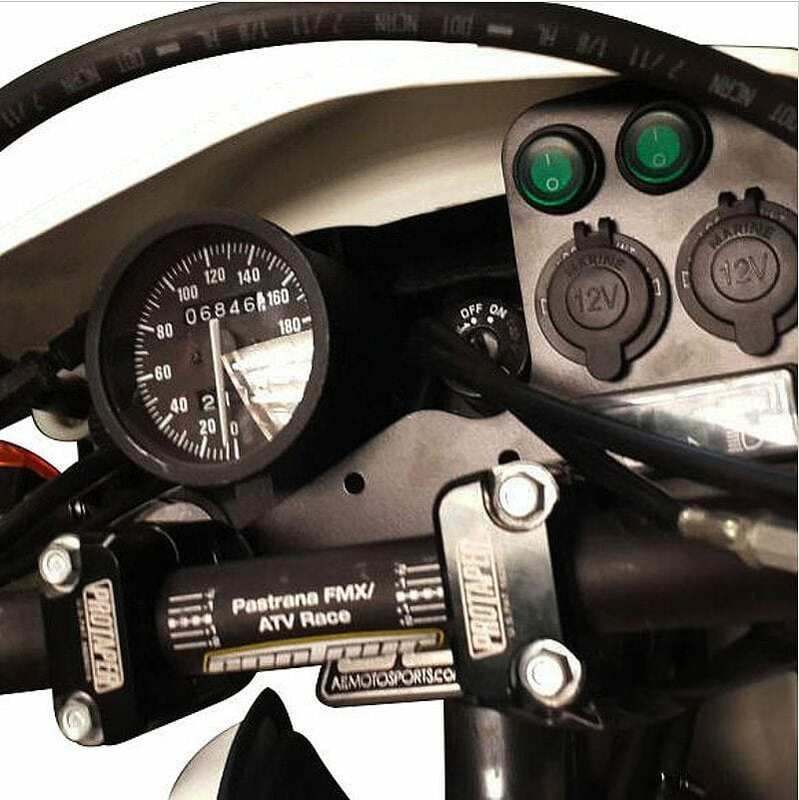 New from AE Motosports is a Dash Panel designed so you can power multiple electronic devices. You can also use the two pre-drilled holes to attach your RAM mount and place your phone or GPS unit on that while charging. 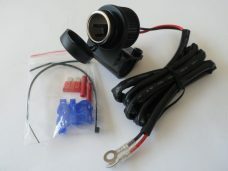 It can also be used for accessory lights, heated grips or gear, whatever you like. 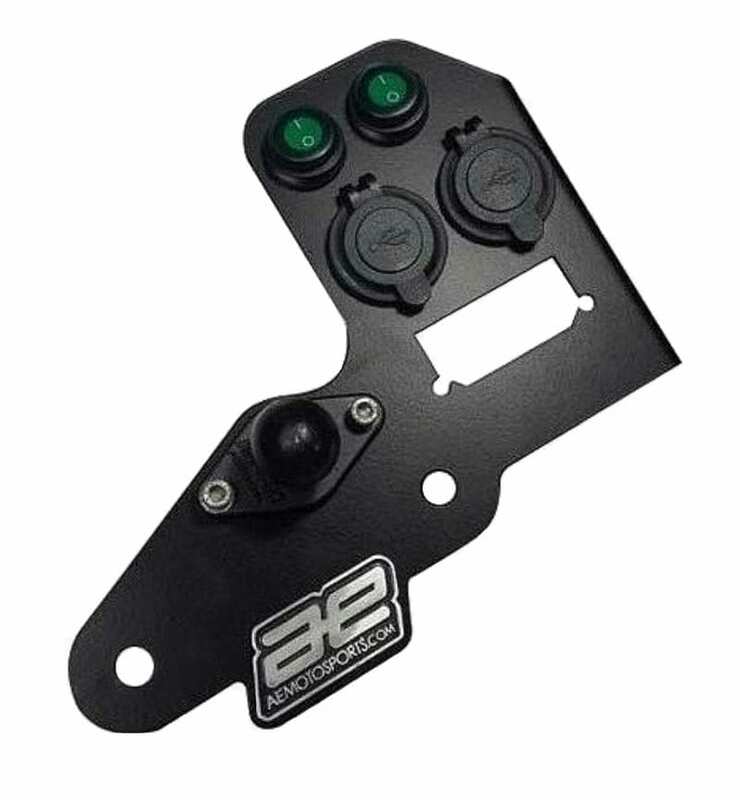 The dash panel is manufactured from laser cut steel and powdercoated black. 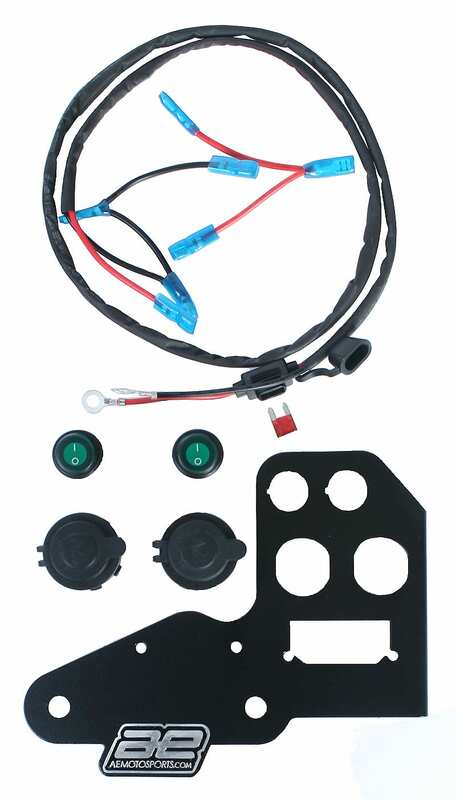 Also included are 2 marine 12V cigarette lighter type outlets, 2 weather resistant switches and a wiring harness with a 10 amp fuse. Everything you need to mount it and connect the outlets back to the battery. No drilling required for installation, instructions and cool sticker supplied. 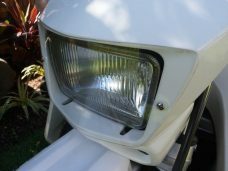 NOTE – stock can sometimes be difficult to obtain and stock, example here’s an email from our friends at AE Motosports – Hey Mal and Karen, we are still under operations but due to the political crisis in Venezuela everything is going slower than ever, we should have some product back in stock in coming weeks, as for the KLR head light guard they should be ready in a few months. We are still planing on how to keep going and come up with orders as the country is in the middle of a dictatorship. Note – South America packages are often opened by customs, hence we sometimes have to repair or repackage half open bags etc, sorry if you receive a taped up bag we do our best.